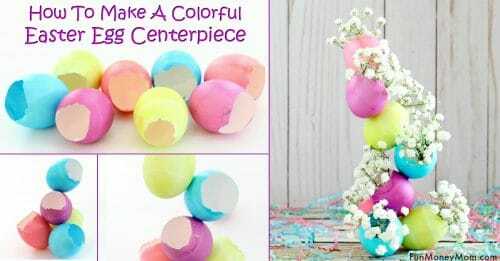 Decorating Easter eggs doesn’t get much than these super cute rubber band Easter eggs! It’s a fun craft that all ages will love! It’s that time of year and we’re already starting to go a little nuts with the Easter egg decorating. Between decorating eggs and making sweet Easter egg treats like these Rice Krispie Easter eggs, there are a gazillion fun ideas to choose from! Some turn out to be trickier than others (dying eggs naturally, for one!!!) but some are so simple that even the smallest of kids can do it. 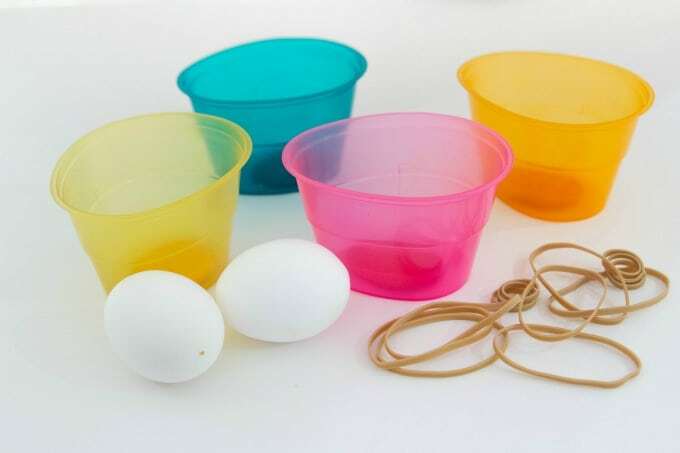 That’s where these rubber band eggs fall…so easy that anyone can do it. 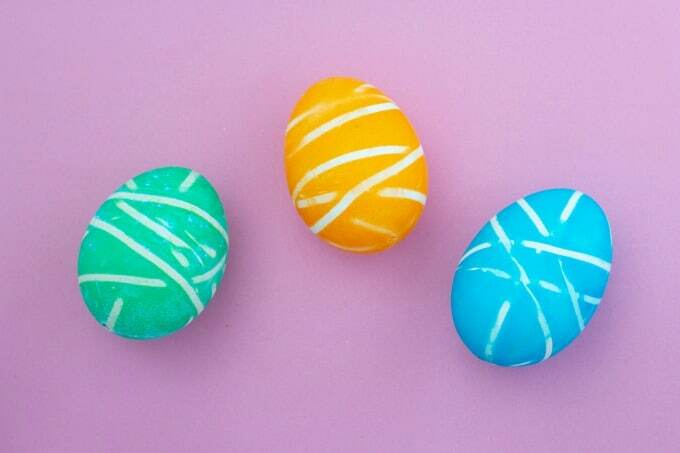 All you need is Easter egg dye, rubber bands and of course, eggs. Start by wrapping a hard boiled egg with rubber bands. Wrap it however you want. 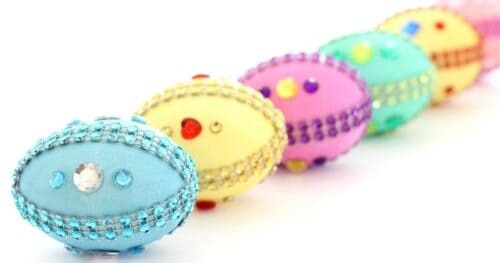 The beauty of these Easter eggs is that each one is unique. 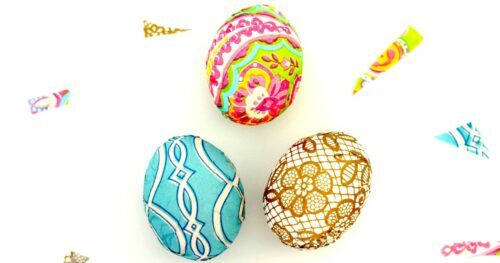 Once you’ve wrapped your eggs, you can get your Easter egg dye ready. 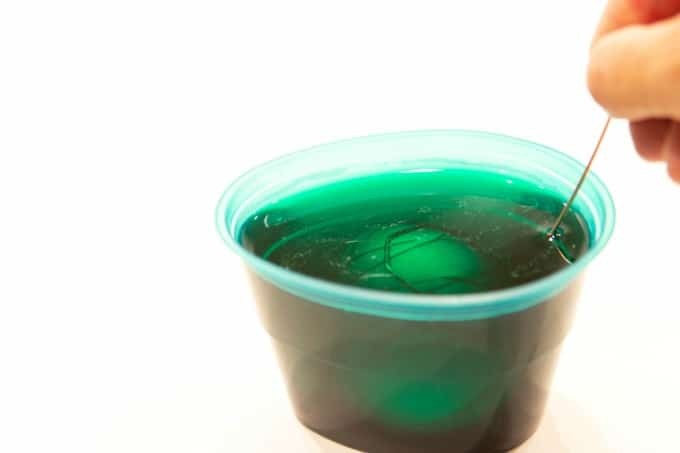 Next, pick a color and start dipping. I used hollowed eggs so it needed a little help staying submerged. Do this with as many eggs as you’d like, then let dry. Once the eggs are dry, take off the rubber bands. It’s amazing that something so pretty can be this easy to make! The beauty of these is that the whole family can do it together. Even the littlest ones will love seeing their cool Easter eggs. This is also a great way to keep the kids entertained while you’re cooking Easter dinner. Older kids can totally do this without you and they can even help the younger ones with theirs. Fun and easy…my favorite combination when it comes to holiday crafts! 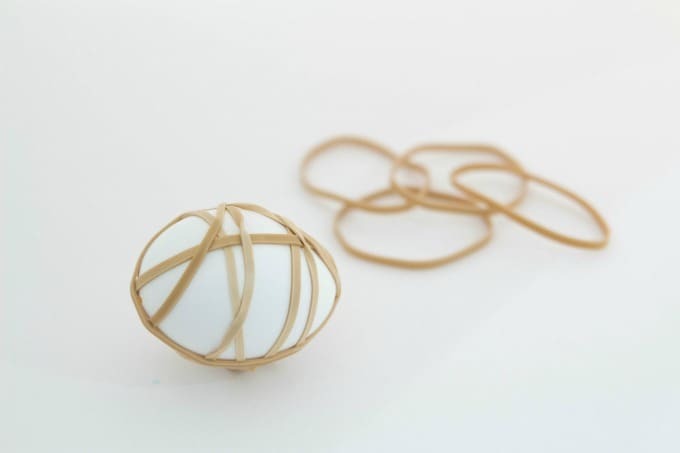 Have you made rubber band Easter eggs before? 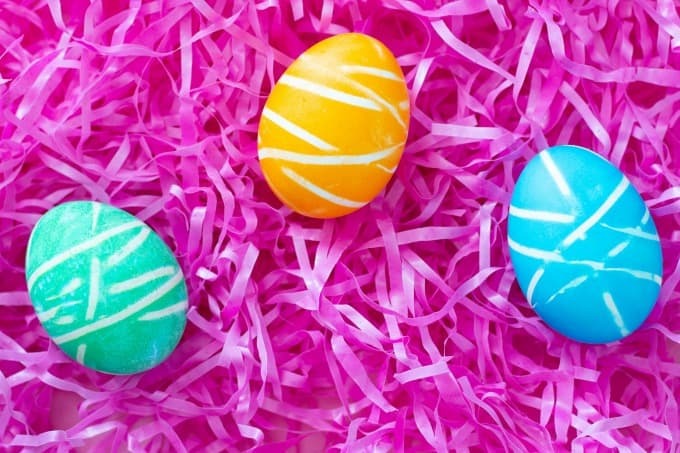 What’s your favorite way to decorate Easter eggs? 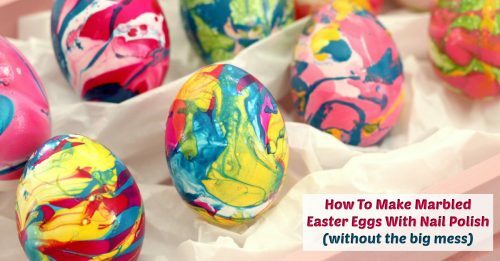 If you liked this fun Easter idea, you’ll want to check these out too!